This was my experimental hot chocolate. I like it thick, as a pudding and that's the way it's served in many coffee bars here. 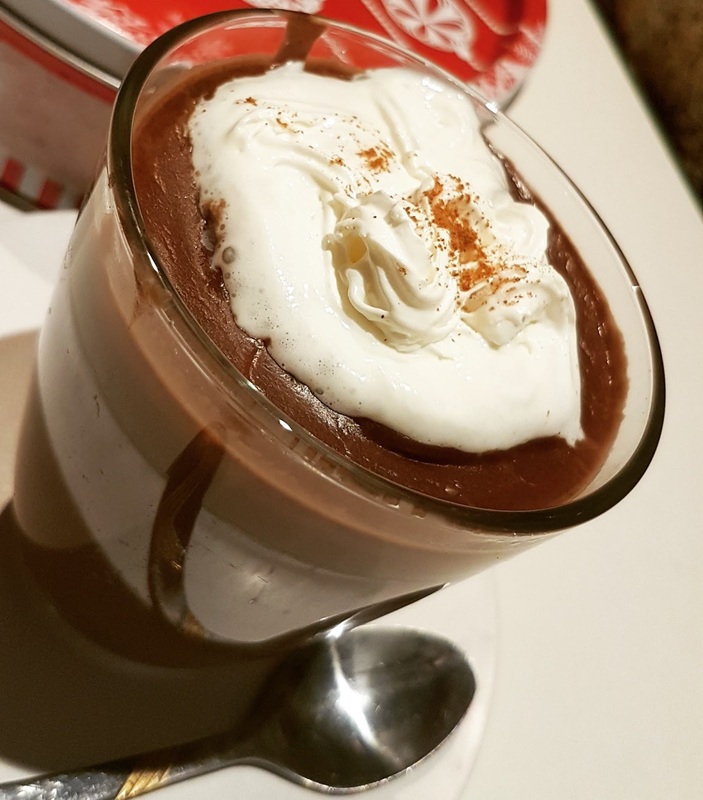 Of course, you can buy a mixture of hot chocolate in powder and prepare it instantly at home, but I think my version is more chocolate than any other hot chocolate sold or offered in stores or bars here. Bring to boil milk, pudding and cocoa and add the chocolate in the end. Use a pot that is non sticky and stir constantly to avoid burning. Do this at low heat. It's ideal to prepare the hot chocolate on steam. When the mixture starts to thicken and everything is mixed well and even, remove from fire and pour in a heat proof cup.